This feature is still experimental and currently available only for the home page. Basically, blog view follows the traditional flow of posts while the grid view uses a powerful grid to display the content, offering the ability to showcase almost every type of content from simple text to rich photo galleries, podcasts and videos. In the future we plan to improve this view mode and make it flexible enough to fit the entire structure of the theme. The theme features native HTML5 audio & video playback. Simply attach a video or audio file to a post, set it the video or audio post format and a browser-native player will start playing the file. If html5 is not supported by the browser it will fall back to a flash player. Sections that are not essential for the website, like breadcrumbs or the post slider can be disabled with one click from the options page. They will simply disappear and the design will automatically adapt to fit the changes. The theme comes with built-in with templates for the most popular page layouts, like sidebars on the left or on the right or splitting content with 2 sidebars. They can be individually chosen for pages and globally integrate with the entire layout. The default website layout can be changed in the theme options page. The themes offers the ability to choose which fonts you would like to use and integrates itself with the Google Web Fonts Directory to allow even more fonts to be used. For the moment only some fonts are supported. The theme also offers the option to change font properties like font size, line height and color. If you’re not familiar with CSS color codes a point-and-click tool can help you choose your preferred color. sticky posts will be displayed in the slider and the main loop will ignore them. If the option is disabled the loop will display normally, with sticky posts on top. 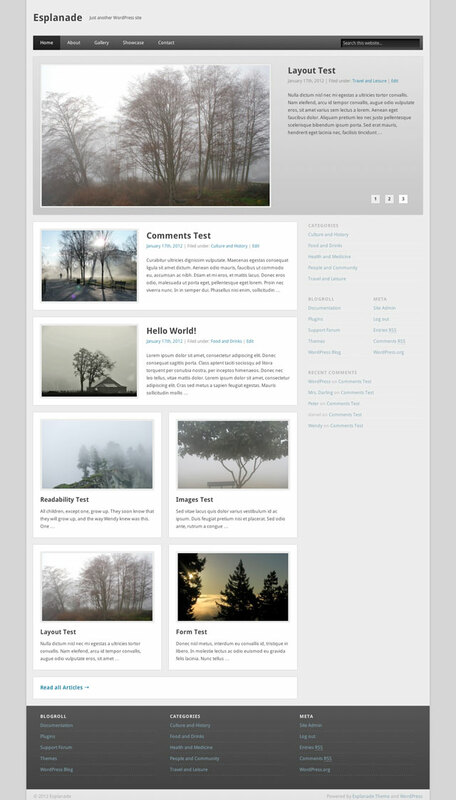 The theme comes with 2 view modes: Grid and Blog. The Grid mode is similar to a web magazine and shown only on the front page. Secondary pages display in blog view. You can override this behavior in theme options. Post Thumbnails appear only in post lists, not on single posts. They can be set by choosing “Set as Featured Image” when uploading an image. Posts with the image format will display the last attached image in a caption. If a post thumbnail is set, this one will appear instead. and also offers a lightbox for full screen preview. On single pages images from the gallery shortcode display in a lightbox. in a HTML5 tag with flash fallback. then these will be used as fallback sources. the quote post format will only display the post’s first <blockquote> tag. Posts with the link post format will link out to the first tag in the post. The Theme has 4 customizable sidebars, a widget area in the footer and one on the 404 page. 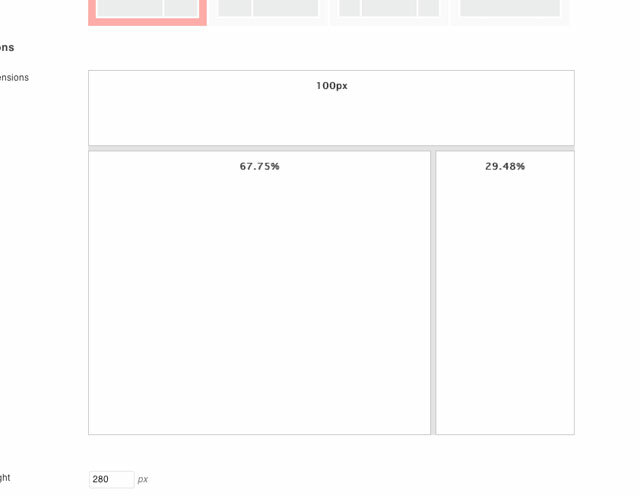 You can use these area to customize the content of your website. If no content is be added to the sidebars these will not display. That’s it from our part and we’d love to hear your feedback! Use the comment section below to share us your thoughts and if you like this theme let your friends know about it by sharing it with the services below. Happy blogging! Thank you for sharing this great theme. I did a review on my blog. I hope you do not mind. Thank you. What is your blog url, the one provided in the comment doesn’t work? Ooh! Are you still thinking of “retiring” the Cover theme? I think it’s beautiful and the colors and layout are perfect for me – the Esplanade theme may have more features but the look and feel don’t do it for me. If Cover stopped working, I probably wouldn’t switch to Esplanade, I’d go looking elsewhere. So I hope you will keep Cover “live” for the foreseeable future! Yes, Cover WP is definitely going to be discontinued. It’s 3 years old, the design is outdated and the code is a mess. Updating the theme without a design refresh wasn’t an option and the result was Esplanade. Technically speaking there’s no reason to continue support for Cover WP. Only security issues will be addressed. Very beautiful theme, I’m trying to do it work well, still have some problems but I hope I can use this great theme ! Thank you. You can use the support forum if you have any questions. I’ve installed it, it’s very flexible – thank you. Thank you! I love how flexible and easy to adapt it is. Amazing theme… after trying several others this one truly has a solid appearance with a great set of options and customization. You can check my band’s website using Esplanade in my profile. Thank you for sharing this great theme.I’ve updated to the latest version.It is very beautiful, in line with my aesthetic. Where is the changelog? would you consider putting it on wp extend? Also, I love this theme and it’s sidebars…if you explained how they were layed out in the “instructions” on the theme’s main page here (since they are a little wonky if you don’t understand the naming of the areas), I think that many more people would enjoy this wonderful theme! You can find the changelog in readme.txt. Also, the theme is up and running in Extend. I realize the plugin is on extend, I meant please consider putting the “change log” there as another tab on the site. 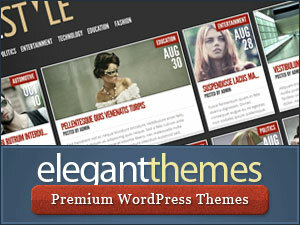 Users of the theme get notified via the WP dashboard that an update is available. They click the “view details” link to see what the changes are on the theme’s change log hosted on “extend”. If I see just simple enhancements, or other non-essential updates, I can choose to defer the update. If it is a bug-fix or security patch, then I can immediately apply the update right from the WP dashboard. Your page does not have a change log, so I have no choice other than to download the entire theme again and open the ZIP file to view the changes. I hope that wasn’t too long as to bore you to death, this is a GREAT theme and I appreciate all the support given. Super sweet theme. I have installed it on my site and am slowing converting my posts to use this theme. I really like it, I think it will be my theme for a while. Thanks! Just wanted to say a heartfelt THANK YOU!!!!!!!!!!! for this lovely theme. I also added a page layout plug-in and altogether, I am so happy with this. It is a beautiful and easy to use theme. I’m constantly tinkering and changing things, looking for new themes, etc. I just wanted to tell you that I think this theme is exceptionally nice – one of my favorites. I love the muted colors and just love the look, and, features. I wish I had the kind of talent and smarts it takes to construct something like this….. Thank you for making this freely available. Thanks a lot for the lovely theme. It took a while for me to switch from Cover WP but this theme is awsome and I think that it brings much improvement!!! Very good thème i’m using it! it’s worth a prenium one with all the featured! Daniel, this is by far the best free theme for wordpress users. I’ve posted before about Esplanade but i just have to repeat that this theme is fantastic. Esplanade is best for me. This theme is gorgeous — you’ve done a really fantastic job here. Esplanade is sleek, feature-packed, and the theme options panel is straightforward. I’ve been slowly picking through themes, trying to choose one, listing pros and cons of each that I test … and I couldn’t come up with a single entry for the “cons” column for this one. I think we have a winner! Thanks heaps for sharing this with us. Thanks for the beautiful theme. I have been searching for something like this for ages. I have a couple of questions/comments I will be posting to the forum, just wanted to congratulate you on your work. Thank you! If you ever need a Croatian translation for the theme you’re welcome to let me know. It’s the least I could do for using such an awesome theme. Please do send it. I already have some translations and I’ll bundle them with the next release. Thanks for this awesome theme. I’m trying to do a Spanish translation but I don’t know how to do it. I’ve been changing the esplendade.pot file at languages/ folder, but anything happens. You need to rename it to es_ES.po and compile it using Poedit. Thank you very much! Esplanade is the best theme that I have found! I love it! For instance with controls display. Very good theme. Thank you, theme useful to me! I would like to help to make a translation into Russian, I see this is possible, but I dont know how to do it correctly. Is there a manual for this? The article Translating WordPress explains how you can do it. Great layout, good work, big thanks! This theme is awesome, you’ve done a really fantastic job. Great theme. Is it translated to Danish? If so I would like to use it for one of my blogs. It’s not translated but you can translate it yourself, < a rel="nofollow">. The alternative to the translate issue is to get the plugin. It’s really good and I have it installed on mine if you wish to check it out. Hi, I’ve had REAL trouble finding a theme that fit me and Esplanade was right up my ally. But I do have a wish, or a request if you may. It would be really nice if there were a few more colour-schemes to choose from. Not saying it needs to go garish, it’s a classy theme – that’s the whole point. But it tends to get a bit bland. This has been a popular request and I too feel the color scheme is too plain. It is very probable more color schemes will come. just wanted to congratulate you on your work. Thank you! I did Czech translation – 80% is translated. Just few sentences in admin panel I didn’t translate. This is nice theme, thanks for it. I wish too more colour scheme. Is there a theme translation into spanish (Spain)? Thanks! Yes there is. Hit me up via the contact form and I’ll send it to you. Nice theme, but versions 1.0.9 and 1.1.0 are very buggy. Sorry to see you solve problems too slow and too late. Anyway, thank you for this theme. Could you please be more specific? What bugs have you found? The theme is very interesting. Thanks a lot for this great theme. I am using it to support my local community and everyboddy likes it soo much. It is the first time I have created a web page. This beautiful theme made it so easy. I ask: Why install this theme, and presentation is not the same? Fewer slides, bottom is different, I was a novice, I hope you’ll be able to demonstrate the effect of the zip package sent to me, thank you! The demo illustrated all features built into the theme. It’s impossible to make all features work out of the box because that would require adding content which may not be convenient for all users. The theme can however be configured to look just like in the demo by only adding content and changing theme options, no code modifications are necessary. We may consider adding a content importer in the future. Thanks a lot for this wonderful theme. 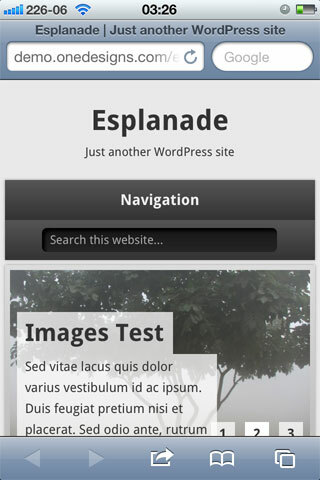 I hereby declare “Esplanade” to be the best free wordpress theme ever designed! Hi! My name Ansar. I liked your topic, I translated into Russian, if you want, I’ll post the translation files. This my second site with esplanade. Very nice WordPress theme, thank you very much! Amazing template – love it!